This book is a fun, light read. It keeps your interest, even though it's very predictable. I look forward to reading the next book in the triology, though I'm not sure I would recommend this book to others. I thoroughly enjoyed this book. These futuristic book are absolutely fantastic! It's a pretty easy read but very well written. I don't want to give anything away but if you like trilogies like The Hunger games or Divergent this is a good one to read. This is an excellent story! I read it from beginning to end without stopping (except when absolutely necessary)! 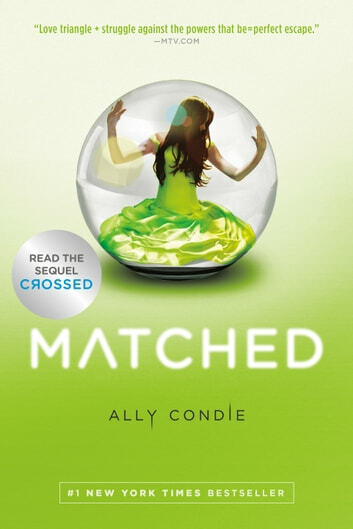 I am getting the next book in the series, Crossed, and start in right away! Can't wait to read it!